Why do you have bad taste in your mouth? How can you eliminate those odors completely? Having no clue? No worries, we have all the answers listed here! There are thousands of taste buds in the mouth, prominently on the tongue, so it's easy to detect any taste that linger in the mouth, especially if it is unpleasant. In some cases bad taste in the mouth can easily be removed, but in some cases bad taste in the mouth can be a sign of a medical condition which needs to be addressed. However, there are some simple practices that can be used to relieve or even get rid of the problem. Some medications can cause one to develop an unpleasant metallic taste. This is a common issue with anti-depressants, neurological medication and anti-thyroid medicines, especially if the prescription contains a great deal of zinc. The severity of this side effect will vary from person to person. Women in the first trimester of pregnancy tend to develop a bitter taste in the mouth. In some cases this can be so severe that drinking water can bring on this bitterness. This is due to the skyrocketing levels of estrogen in the system, but it can also be caused by hormone pills or prenatal vitamins that are prescribed during this time. Increased nausea during this time can also lead to a lingering bad taste in the mouth, but in this case the side effects are temporary. Acid reflux can cause a similar bitter taste in the mouth due to the stomach acid which is seeping into the throat. This has been described as an acidic or bitter taste. Overeating, changing your eating patterns or eating foods difficult to digest like spicy foods can contribute to this problem. Tooth decay and other dental problems can cause a bad taste in mouth. Gum infections may also contribute to this issue. If these issues are causing dental fillings to come loose, a metallic taste may be present in the mouth. Otherwise the taste may contain more sour odor. Oral viruses can also affect the taste buds on the tongue, causing them to sense unpleasant odor. Ulcers or fungus in the mouth can contribute to this problem as well. Halitosis or bad breath can also lead to a bad taste in the mouth. A diet that is excessively rich in protein can lead to excessive amounts of sulfur in the mouth which can increase the levels of bacteria in the mouth. This can result in a rotten taste. Food particles stuck between the teeth can also increase the amounts of bacteria in the mouth as these particles are broken down, which may also contribute to this rotten taste. Nasal problems such as infections, polyps, sinusitis, or runny nose due to a cold or allergies can cause a bad taste in your mouth. Bacterial or viral remnants in the postnasal drip can get into the throat and taste unpleasant. Some habits such as smoking or poor diet can also lead to a bad taste in the mouth. A lack of vitamin B12 is an especially common cause of altered tastes in the mouth. This can cause some tastes to be amplified to the point where they are really unpleasant. Treatment depends on the exact cause behind it. After understanding its real cause, you can then take some steps to eliminate it. Here are some tips for you. Cleaning the mouth is key to removing a bad taste that has developed in the mouth. Brush teeth thoroughly to help remove debris and bacteria which are contributing to the bad taste in your mouth. You will also want to brush the tongue to help remove the mucosal covering that may have collected bacteria, yeast or food that can cause a poor taste over time. Make sure you brush your tongue gently, or purchase a tool such as a tongue scraper that is specifically intended to help clean the tongue to avoid any damage. Scratching the tongue can make a bad taste in the mouth worse or cause additional injury. In addition to brushing the teeth, you need to make sure that all particles lingering between the teeth are removed to help eliminate a lingering bad taste. 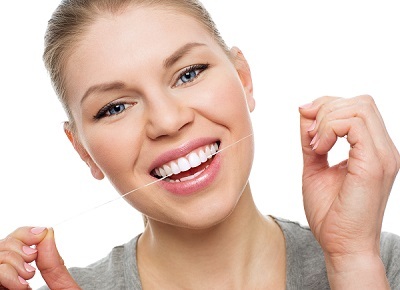 Floss your teeth carefully to help remove particles that your toothbrush cannot reach. If the bad taste in your mouth is particularly foul or has been lingering for some time, use a sponge floss that has been soaked in mouth wash or baking soda diluted in water to increase the efficiency of the floss. You may also want to follow up this treatment by rinsing with mouth wash or a baking soda rinse. Combine one teaspoon of baking soda with 8 ounces of water and gently swish the solution around your mouth. If the bad taste in mouth that is accompanied by other symptoms such as sore teeth, sores in the mouth, ulcers, stomach problems or any other growths in the mouth you should see a physician to ensure that there is no more serious causes to the bad taste you are experiencing. If you have recently started a new medication that may be contributing to your bad breath you should also see your doctor to determine if a change in your prescription can alleviate your discomfort.